Candiss married in Sep 2017 and came to me asking for a beautiful pale pallet of Dusky Rose. 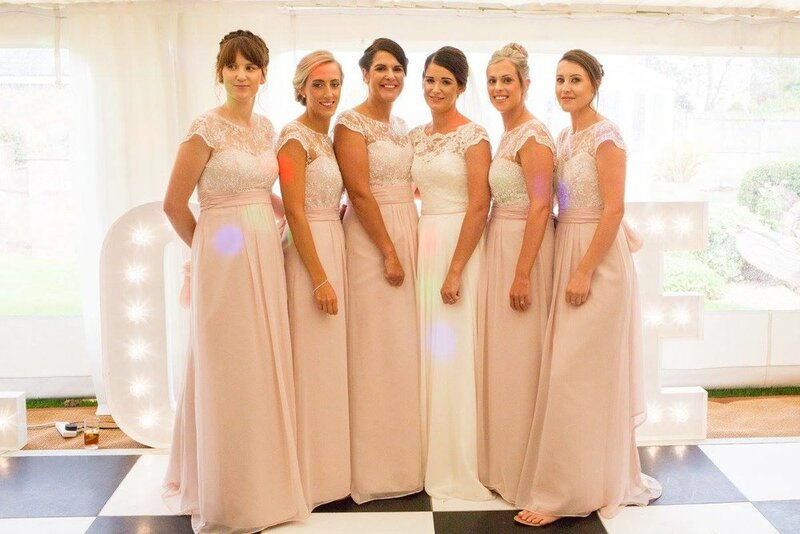 She wanted to include a little lace/embroidery and visualised her bridesmaids in the same styles and all to be long. Her dress was from Kate Walker and had a beautiful lace bodice with a scooped neckline. This was mirrored by the bridesmaids dresses. Candiss also asked me to make her a flower girl dress for her daughter Willow. When the bridal party saw the dress at the fitting there were tears. It certainly brings something a little extra special to the wedding when the flower girl matches the bridesmaids!